Here we are near the end of February already! It turned out to be a full, emotion-packed month which is going to culminate with my 49th birthday the end of this week. Yikes!! Where did the month go?…Where did the last decade go? So, what was so distracting? 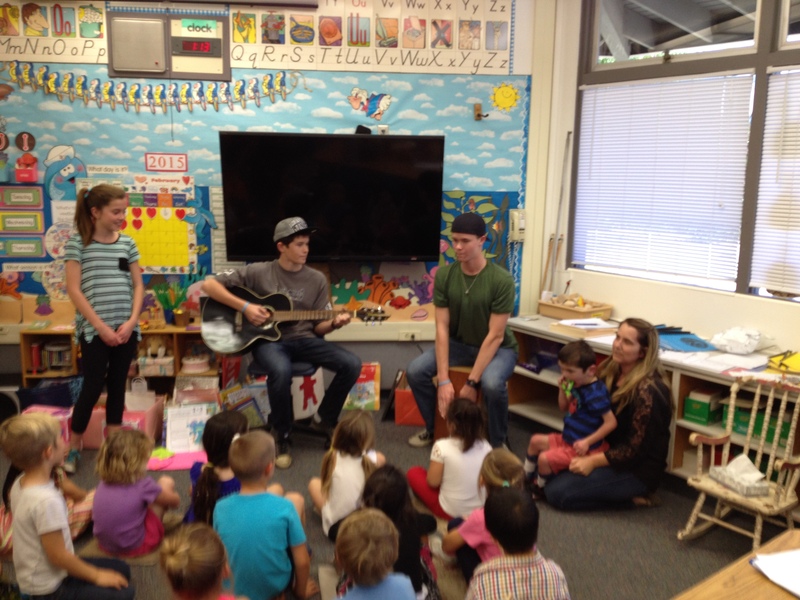 Well, we said “goodbye” to Rudy’s longtime school nurse a week and a half ago :(…Rolf and the big kids met me at the school for a little surprise send off with Rudy and his classmates. It was a sweet time honoring Sara and welcoming nurse Jomana to the team. 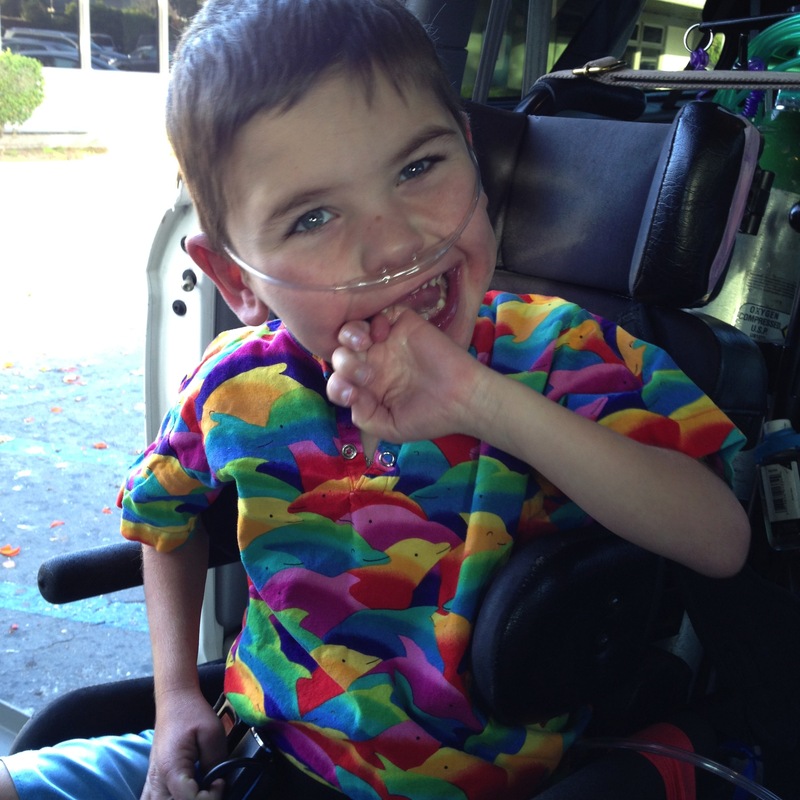 Rudy is definitely adjusting but he is in good hands and we wish Sara GREAT success at the pediatric clinic!! 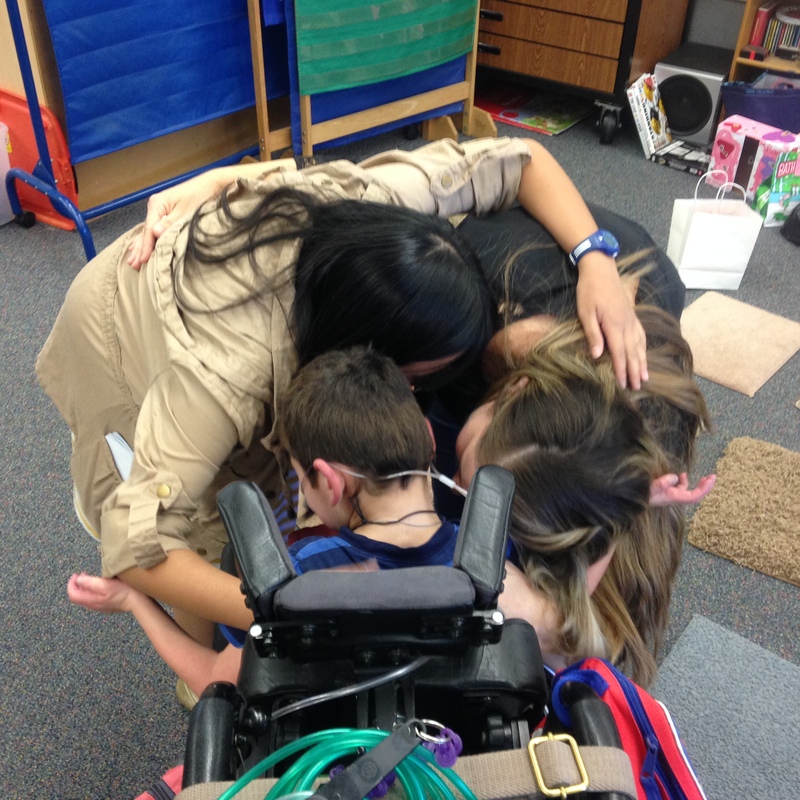 The official changing of the guard during a group hug with nurses Sara and Jomana! 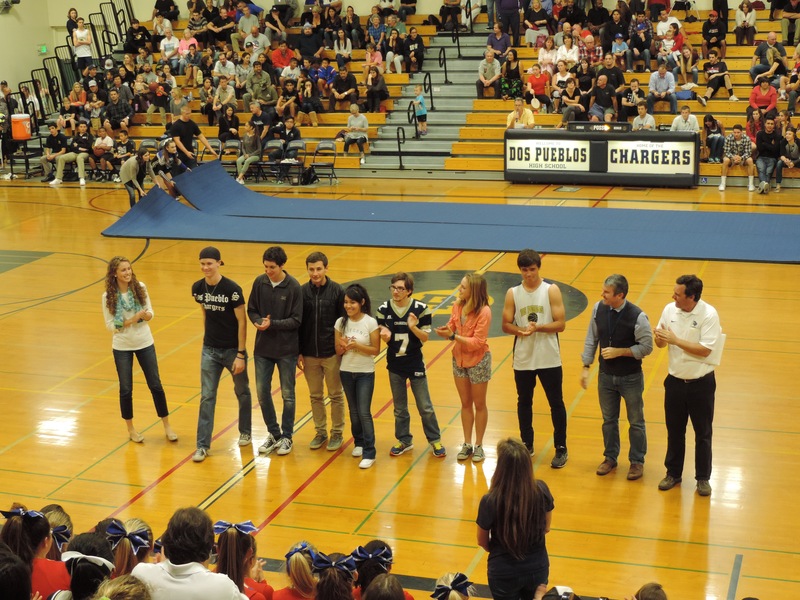 Wilson was one of nine DP seniors who was chosen as this year’s Trailblazer recipients and acknowledged at the last basketball home game of the season…so fun for him. We’ve collected a handful of fun video clips this month that were too short to upload to Vimeo by themselves so I made an iMovie of them all together to make it long enough to upload! (feeling very tech-savvy right now) Enjoy!!! 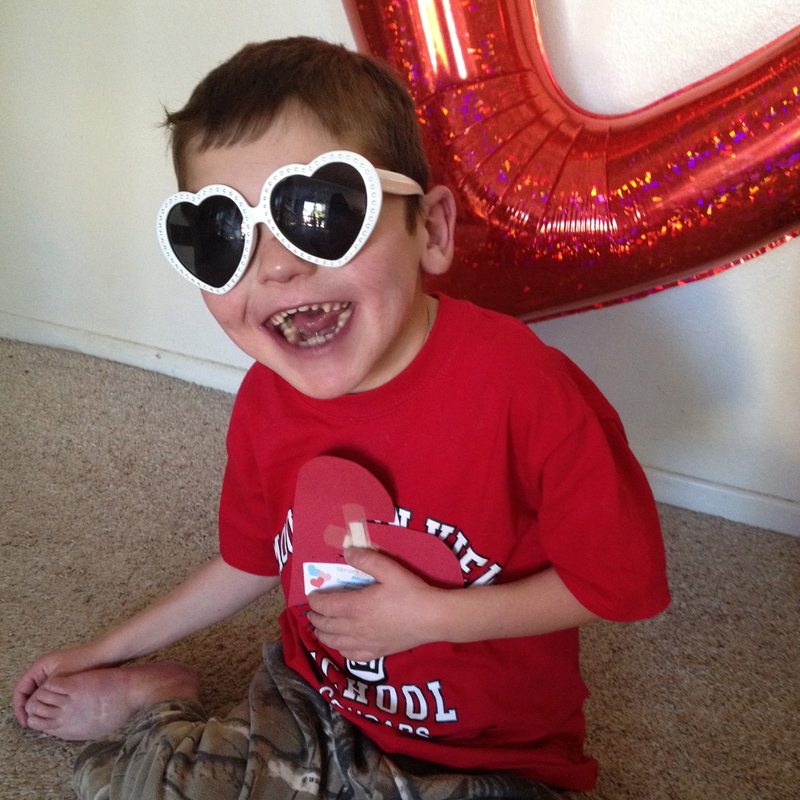 (a video message from Rudy to Nurse Sara, an original rap by Wilson and Max, this year’s installment of “Will You Be My Valentine?” filmed by the big sibs on a ski lift at Big Bear on Valentine’s Day, Wilson and the DP drumline at the last Bball home game, Wilson and Max playing at FCA). In addition, the big sibs got to go on a ski trip with their church youth group over the long President’s Day weekend, Rolf, Rudy and I hosted our sweet newlywed friends Sarah and Chris that same weekend and I had a speaking engagement & a couple of opportunities to sing this last week! Special stuff!! In the midst of all this goodness, Rolf and I were reminded of the severity of Rudy’s situation by a very interesting CDC research article. How it relates to HLHS is secondary to the original study focus but check out the survival rate chart at the end of the article…Click Here – CDC Article. Although we genuinely look at our life as 1/2 full as opposed to 1/2 empty, it is shocking to see in black and white that HLHS has the lowest survival rate of all major birth defects! Makes us EXTREMELY grateful for Rudy’s life and motivates us to pray, pray, pray!!! 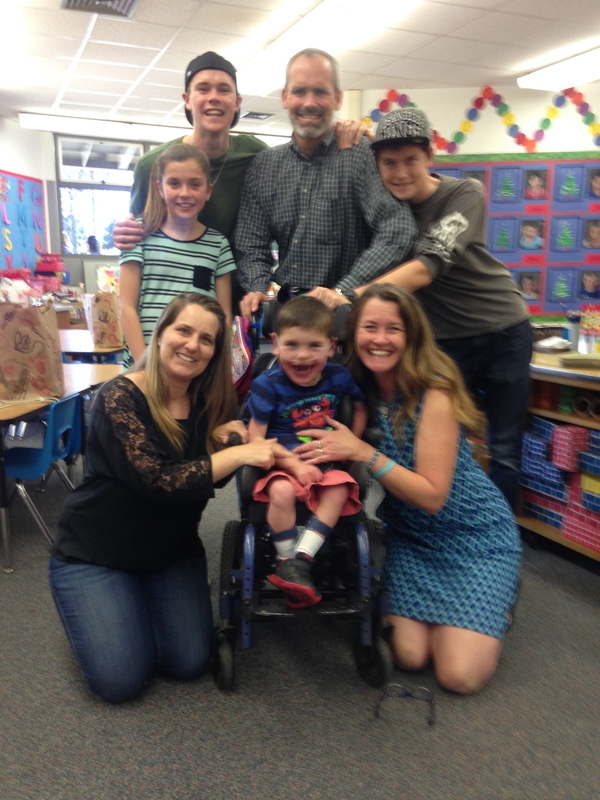 Rudy’s teachers gave me the opportunity to come to Rudy’s classroom today and share about CHD Awareness Week with his classmates. The kids were great and I had lots of fun hanging with them for a bit. 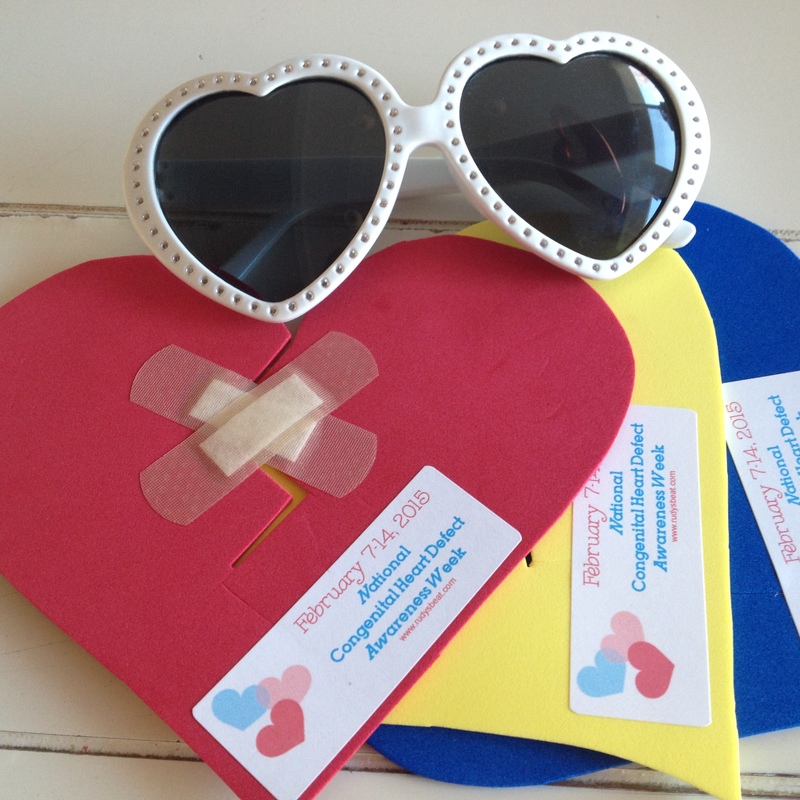 Together we defined “congenital heart defect” and we talked about how important it is to learn about CHDs…i.e. 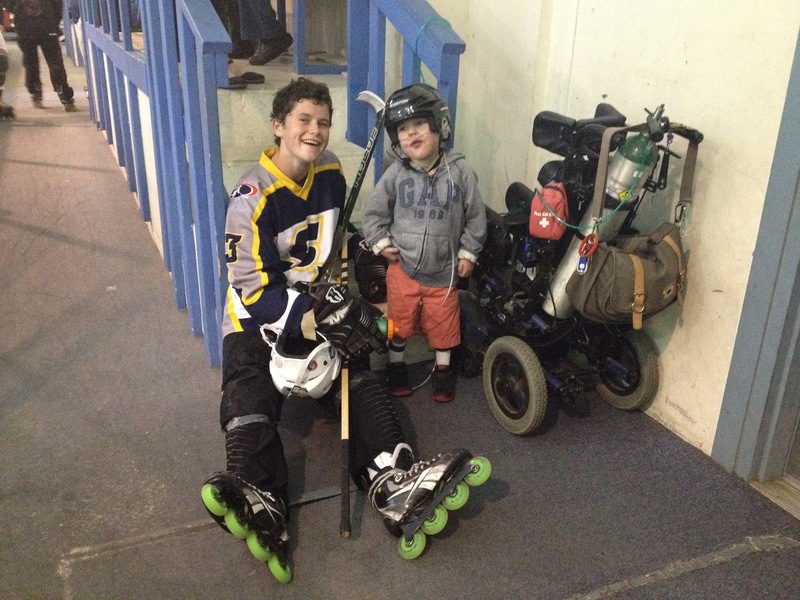 to understand kids like Rudy better and to remind us to be “heart healthy”. 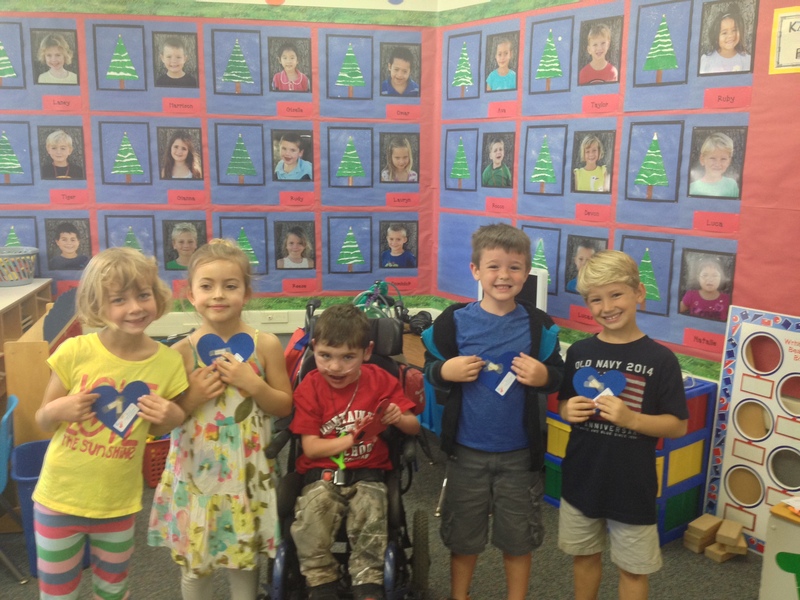 We ate blueberries (a heart healthy food) and made a CHD heart magnet to display at home. Fun, Fun! Olivia made me a new insert for my phone case this morning! LOVE IT! Rudy showing off his “mended heart” magnet. 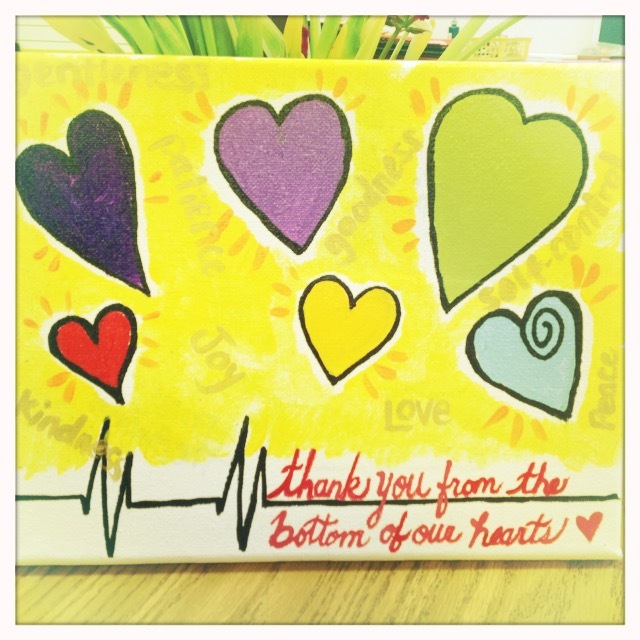 Wishing you heart health and lots of love this week…. I apologize for my delay in posting after our appt. with the heart clinic a couple of weeks ago…I haven’t been very motivated to post in part because our family schedule has been full but also because our time at the heart clinic left me feeling confused and irritated. It has taken me a bit to process it but I think I’ve come to a helpful shift in my perspective. Rudy is fine…no change good or bad but what frustrated me was the consultation we had with the cardiologist after Rudy’s exam. With no new things to report regarding Rudy’s condition, the discussion quickly turned to hypotheticals (I hate talking about hypothetical scenarios) and I was confused by the lengthy dialog we were having about things we ruled out 4 years ago. There are a handful of cardiologists that rotate through the clinic so we see a different one every visit. As a result, it’s only natural that we would have repeat discussions with different doctors but it felt like we were reverting back to square one this visit and it felt like a waste of time. The cardiologist we saw is a great doctor and my frustration wasn’t with the cardiologist specifically but rather with clinic itself. Why do we go? What’s it’s purpose, really? In reflecting on the past couple of years, I realize now that my expectations for Rudy’s heart clinic appts have been pretty unrealistic. You see, Rudy’s condition is monitored closely by Dr. Harake every 6-8 wks here in Santa Barbara, Dr. Harake keeps the team at UCLA updated and then we check in with them face-to-face at the heart clinic every 6 months. I approach each clinic appt with great expectation hoping to get helpful information that will serve us in developing a plan of action for Rudy. Of course, with Rudy being in limbo medically, this doesn’t happen and so I usually leave clinic disappointed and emotional. It’s a totally understandable dynamic but I realized this last visit that my perspective on clinic needs to be revised…I don’t think the purpose of clinic is to GET anything but rather to GIVE the team information they need to determine Rudy’s current status and maintain a breadth of baseline information that will be helpful should Rudy ever become a heart transplant recipient. There’s only so much that can be determined by an echocardiogram. The details that Rolf and I can give about Rudy’s interaction with every day life is important in filling out the bigger picture! It may seem like a subtle mental shift but it has a huge emotional impact. Not only does it eliminate disappointment over unmet expectations but, if my role in providing information is crucial, then it also refreshes my motivation for clinic. It’s a helpful distinction for me and I’ll have an opportunity to try out this new perspective in a couple of months when we return to clinic in April. 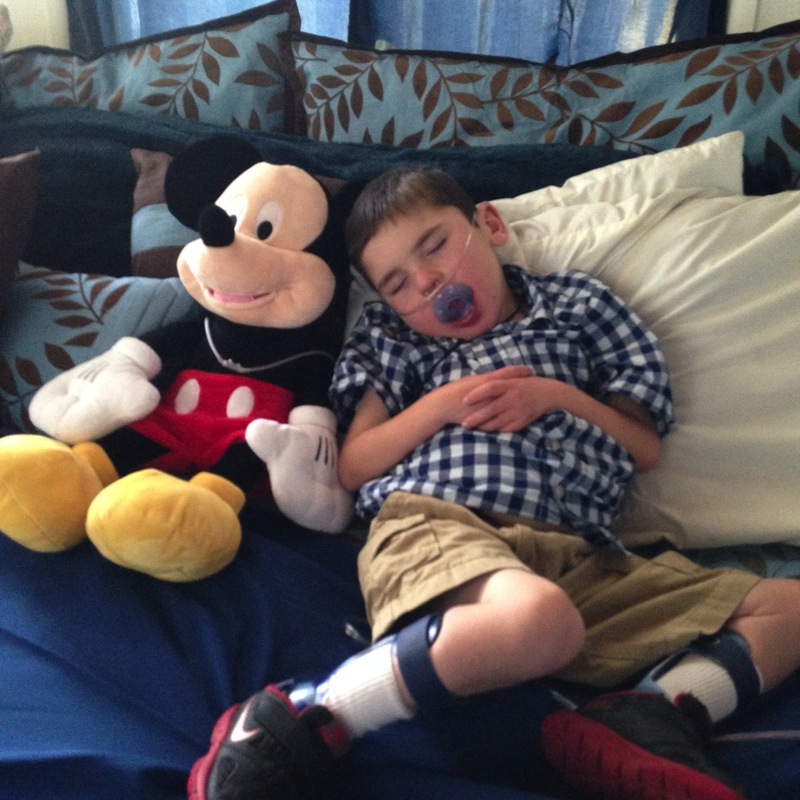 Rudy rarely falls asleep during the afternoon if he’s NOT in his own bed but he fell asleep on this day while watching Mickey Mouse WITH Mickey Mouse! Work hard, Play hard, Sleep hard…that’s how Rudy rolls! 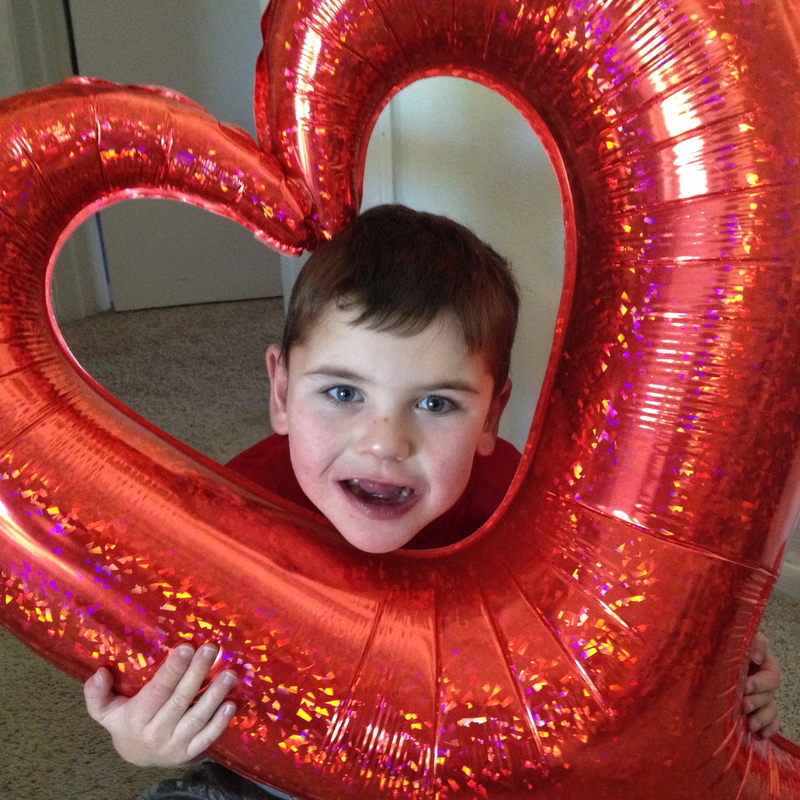 February 7-14 is National Congenital Heart Defect (CHD) Awareness Week! 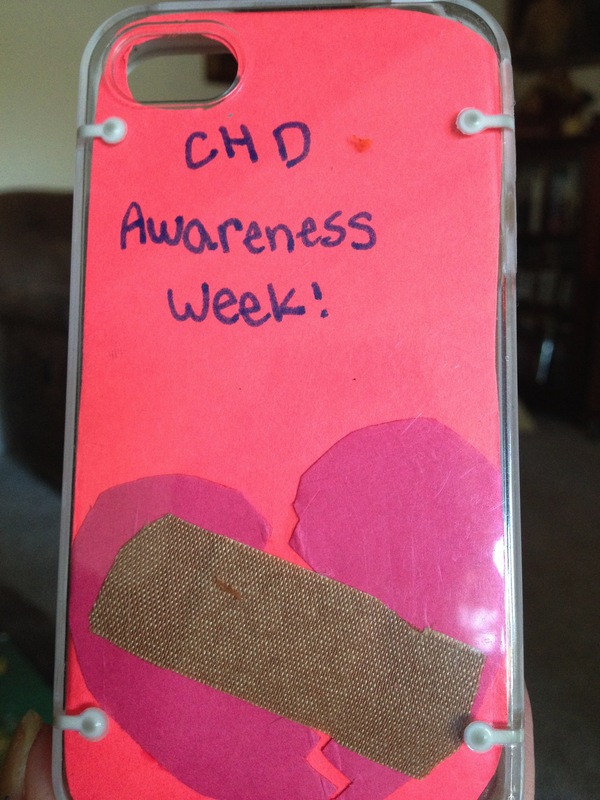 Stay tuned for some CHD Awareness fun! 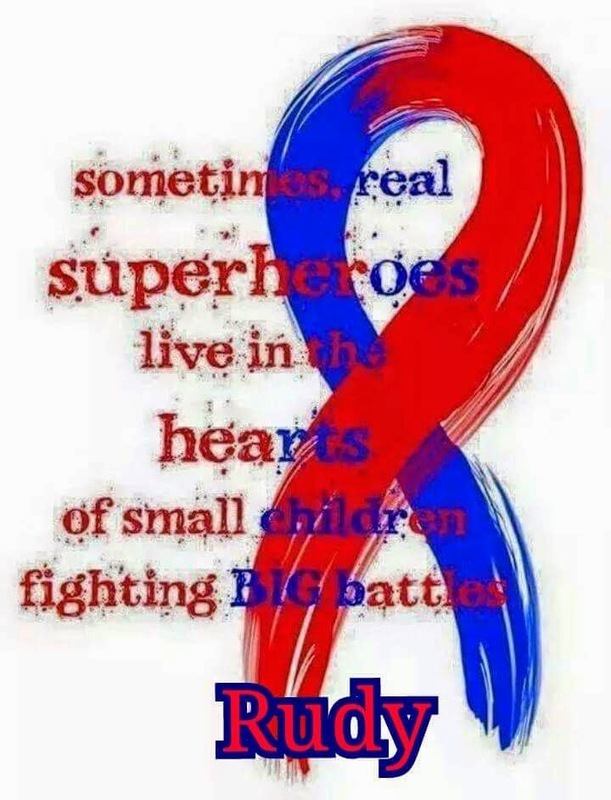 Thank you Rayme (Logan’s mom) for this cool graphic! Happy Boy in a dolphin shirt!